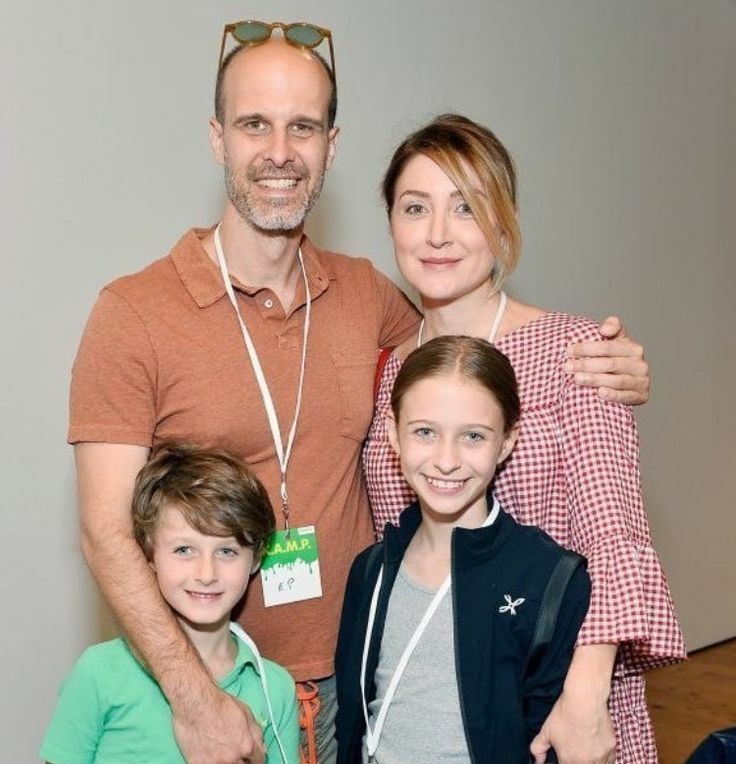 Who is Sasha Alexander, Why Did She Leave NCIS, What is Her Net Worth? Sasha Alexander is a Serbian-American actress, director and producer. She is known for her roles on both the small and big screen in works such as Dawson’s Creek, Yes Man, He’s Just Not That Into You, Rizzoli & Isles. After playing Caitlin Todd for the first two seasons of NCIS, she left the series which left many a fan seething. Find out herein why she left and other interesting deets about her. It was in the nation’s entertainment hub, Los Angeles, California on the 17th day of May 1973 that Suzana S. Drobnjaković Ponti who would become known as Sasha Alexander was born. Her parents are of Serbian descent, though some of her family lived in Italy. Consequently, she speaks Serbian and Italian fluently other than English. As a grade schooler, Sasha was very active and took part in activities that not only engage her mind but her body as well. By the time she was in her seventh grade, she acted in her first school production when she was cast as the lead female in Baby. Her performance was well received by the audience and her star has only shone brighter since then. She was also an ice skater but a knee injury kept her dream of going pro in the dreamland. Moreover, she dances very well and was in a pop music group called Everything Nice when she was 14. She wanted to be an exotic dancer but took to acting instead as the prospect didn’t work out. Sasha continued acting through high school and into college. At one time, she moved to New York City to act in summer stock and Shakespeare festivals production of Taming of the Shrew as Katherine. Following the festival, her phenomenal performance therein earned her a place to study in London with Cicely Berry and the Royal Shakespeare Company. Sasha Alexander attended the University of Southern California’s School of Cinema-Television, where she studied directing and was a member of the sorority Kappa Alpha Theta. With some acclaimed skills in both on screen and behind the scenes, Sasha Alexander took fully to acting. She appeared in several short-lived series including ABCs Wasteland (1999), CBS medical drama Presidio Med (2002-2003), Fox’s Greg the Bunny (2002) where she took on the role of a lesbian TV Guide reporter, Laura Carlson and shared an onscreen kiss with Sarah Silverman. In her early years on the silver screen, she also appeared in the fourth season of Dawson’s Creek (2000-2001) as well as in an episode each of CSI: Crime Scene Investigation (2001) and Friends (2002). Her role in the former as Gretchen Witter who dated the titular character earned her widespread media attention and critical acclaim. Additionally, she continued to add to her acting resume with appearances in several critically acclaimed independent films and musicals such as The Last Lullaby, The Girl from Nagasaki which has been screened in film festivals. Her film credits also include All Over the Guy (2001), Lucky 13 (2005) co-starring Lauren Graham which she also co-wrote and produced, Yes Man (2008) also starring Jim Carrey, He’s Just Not That Into You (2009) Tenure (2009), and Bernard and Huey (2017). After a year and a half tenure on NCIS (2003-2005) as Special Agent Caitlin Todd, she had a minor role in Mission: Impossible III (2006) as well as joined the cast of The Nine (2006) as Juliana. From 2010, Sasha co-starred with Angie Harmon (Jane Rizzoli) on the TV drama Rizzoli & Isles as Dr. Maura Isles through the seven seasons of the TNT series. In turn, she won the 2016 People’s Choice Award for Favorite Cable TV Actress. Then she took up the recurring role of Helene Runyon on Showtime’s Shameless in 2015. In 2016, she appeared in the Cooking Channel food-based TV series Dinner at Tiffani’s and in the syndicated game show Celebrity Name Game while she appeared played Anna Mill in an episode of Law & Order: SVU (2018). While some sources have placed her net worth at an outrageously figure between $215 and $225 million, others like Celebrity Net Worth pegged it below $10 million. Considering that she has been in the showbiz for more than two decades, Alexander undoubtedly would have amassed a fortune for herself through her acting career. Although a definite amount has not been agreed upon, it would be nothing less than impressive. She has been married to Italian director Edoardo Ponti since August 11, 2007, following their engagement in January 2006 making her the daughter-in-law of actress Sophia Loren. They tied the knot in Geneva, Switzerland where their daughter Lucia Sofia Ponti was born on May 12, 2006. The couple is also parents to a son, Leonardo who was born in 2010. Prior to her marriage to Ponti, she was formerly married to Luka Pecel from September 18, 1999 until the marriage was annulled in 2003. Why Did She Leave NCIS? In 2003, Alexander joined the cast of NCIS as Special Agent Caitlin “Kate” Todd to take the place of Robyn Lively who played Vivian Blackadder. While Vivian only appeared in the back-door pilot episodes Ice Queen and Meltdown on JAG, Kate lasted for one season and a half on NCIS. Her exit from the series was consequent upon the killing off of her character by a terrorist, Ari (Rudolf Martin) who shot her between the eyes during the season-two finale in May 2005. Was her death part of the storyline or could there another reason why she was killed off leaving seething fans behind? It was officially explained that the actress asked to be let out of her contract so that she can pursue and explore other opportunities like starting a family. According to her, on a network show, one makes 24 episodes a year which equals 10½ months a year, 17 hours a day. She added that although people loved her character in a really shocking way, she doesn’t want to wake up in her forties with regrets of not doing what she would have; getting married, being a mother, and doing things creatively that she wants. However, she reappeared in the series as a special guest star in season 3, did some voice work in season 8 and as Todd in a “what if” scenario with Anthony DiNozzo for the NCIS 200th episode Life Before His Eyes in 2012.